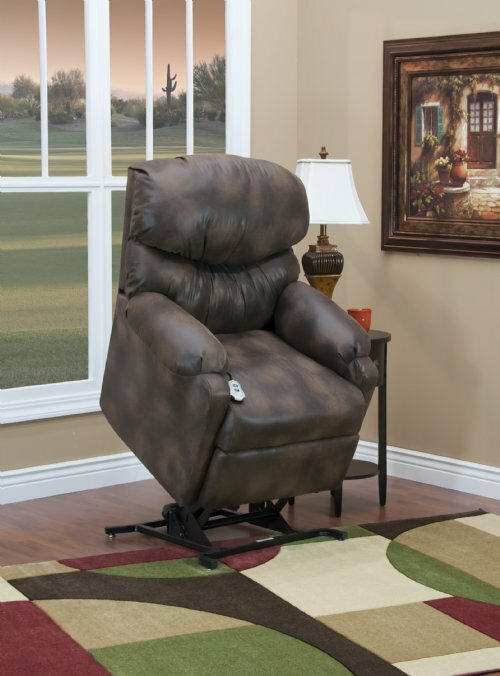 Model 5355 Petite Full Sleeper Lift Chair by Med-Lift & Mobility. May be placed next to a wall. 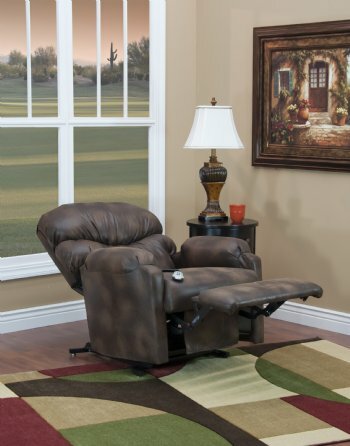 Distance Required from Wall 21"
Back of seat to end of footrest reclined 40"
This model is a full sleeper chair with infinite recline positions. It is designed for smaller individuals, but is not a petite chair. 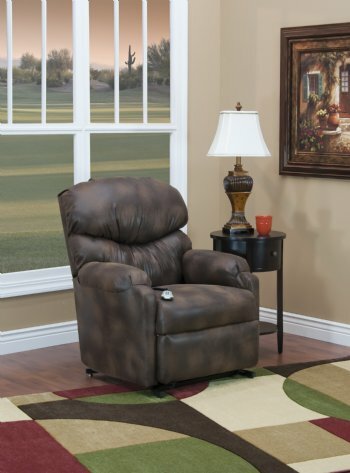 A very comfortable chair in modern styling. four (4) year warrany on all other components. Comes standard with backlit hand control!